Brilliant Wall Art, the Midlands premier wall art and home accessory specialist, are showcasing metal wall art at the Canwell Show this August. The show is one of the largest and oldest one day agricultural shows in the Midlands. 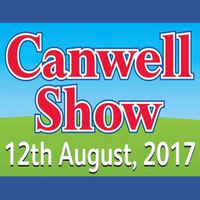 This year’s show will be on 12th August 2017. It is a wonderful family event, with fun activities for all ages. Admission is FREE for under 16’s. The Canwell Agricultural Society held its first show in 1925. Since that year the show has grown to become the West Midlands region’s largest one-day agricultural show bringing in visitors and exhibitors from across the UK. The show has only been cancelled twice throughout its history, firstly during the Second World War, and more recently in 2001 due to the foot and mouth crisis. A truly great English Summer’s day out, the show attracts families from both the farming community and the nearby towns and cities with its mix of livestock, horse events, live music, trade stalls, craft-food-horticultural marquees, to name just a few of the wonderful sights and sounds that delight each year. n.b. Dogs are welcome but must be kept on a lead at all times. This view has led Brilliant Wall Art to supply our wall art, to not only private individuals but also commercial and educational establishments with Cadbury Sixth Form College, Birmingham utilising our service during their refurbishment in May 2009. Our extensive and continually expanding range of wall art and home accessories are available for collection or can be delivered throughout the UK and can be shipped internationally on request. All international buyers please contact Brilliant Wall Art via email for a quote on delivery costs first. Prior to attending the Canwell Agricultural Show, why not visit the Brilliant Wall Art website to view our excellent metal wall art and home accessories? 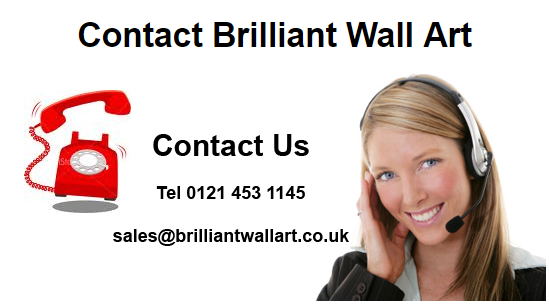 At Brilliant Wall Art customers are our business and we aim to provide exceptional customer service so that you call again and recommend us to your family and friends. The Brilliant Wall Art lowest price guarantee, promises our customers the lowest possible prices on top-quality metal wall art and home accessories. Many stores offer price matching, but at Brilliant Wall Art we offer a lowest price guarantee. Find the exact product online and in stock through another UK store we will match that price upon verification. I love the Galvanised Tin Tractor Windmill Flower Pot Planter. It is decorative, practical and has a lightweight freestanding planter. It is made in galvanised tin, is coloured grey with slight hints of rusty red in a distressed finish. It is suitable to position in the home, garden, conservatory, balcony or window. Please visit our fabulous Brilliant Wall Art stall showcasing our brilliant products. Why not take advantage of our multi-buy promotion? You could save up to £30 on your wall art. Brilliant Service - Order now, collect at the event. Simply spend a few minutes browsing our webpages, we offer a myriad of products and ideas. Excellent Products…Amazing Prices…Great service…Fabulous Events…Brilliant Wall Art! If you have any questions about our wall art or home accessories, please do not hesitate to contact us today.